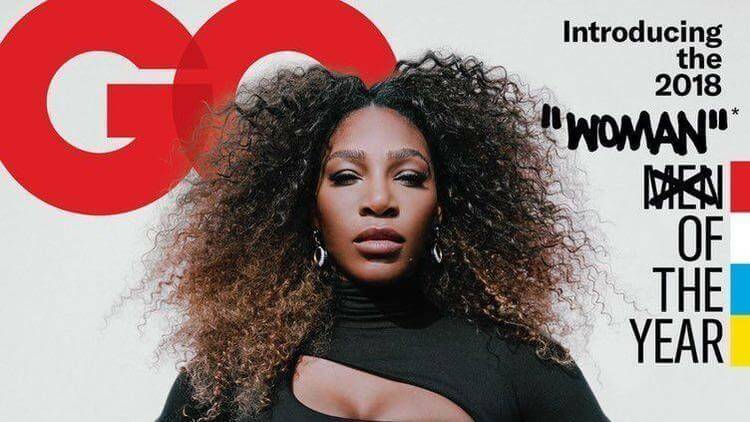 The 37-year-old tennis star Serena Williams has been named GQ's Woman of the Year, is the only woman featured on one of GQ's four covers for December, nearby Michael B Jordan, Jonah Hill and Henry Golding. What's more, her incorporation in the group has impelled some mixed reactions on social media.However, the cover includes the word 'woman' in double quotation marks next to her picture with 'men' crossed out – and fans aren't best satisfied. The typography for the cover was actually handwritten by designer Virgil Abloh, who uses quotation marks in his designs. Abloh teamed with Nike and Williams for her US Open outfit which featured "Serena" in quotations on her trainers and "Logo" on her tutu dress. Questions aside, the respect honor Serena as a standing icon of her sport, even after a standout amongst the most controversial points of her career. “They really put "Woman" in quotes in reference to Serena and no one at the table thought it was a bad idea. I'm speechless,’’ wrote one Twitter user named ChrisTheHuman. “That context definitely helps - it’s definitely off putting especially for an athlete who has been critiqued for not being womanly/not a real woman in all sorts of racist and problematic ways,” one user wrote. A GQ research manager named Mick Rouse reacted to a reader on Twitter to clarify the use of the quotes by designer Virgil Abloh. The executive said: ‘Because it was handwritten by Virgil Abloh of Off-White, who has styled everything in quotation marks as of late (see Serena’s US Open apparel that he designed). Williams came back to the court this year giving birth and suffering pregnancy-induced complications.She made big runs in each of her Grand Slam tournaments and finished as runner-up in the U.S. Open.